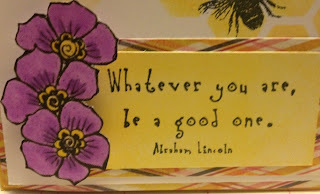 Tina's Crop Shop: Whatever You Are BEE A Good One! Thanks for playing along with our Creature Comforts dare this week. Thank you Natty! Always fun to play along with a challenge! Tina, your card is perfect for the challenge at The Crafting Cafe! Thanks for sharing it with us & good luck! Thank you Monica! I'll be sure to check back with Great Impressions for the next challenge! Fab card, I love the colour combinations and the pretty flowers. Thank you Dionne. I've always loved Yellow and Purple together! Your card is lovely! It all goes so well together. THanks for taking part in the Daring Cardmaker's challenge. Thank you Miri! I always love Cardmaking Challenges! 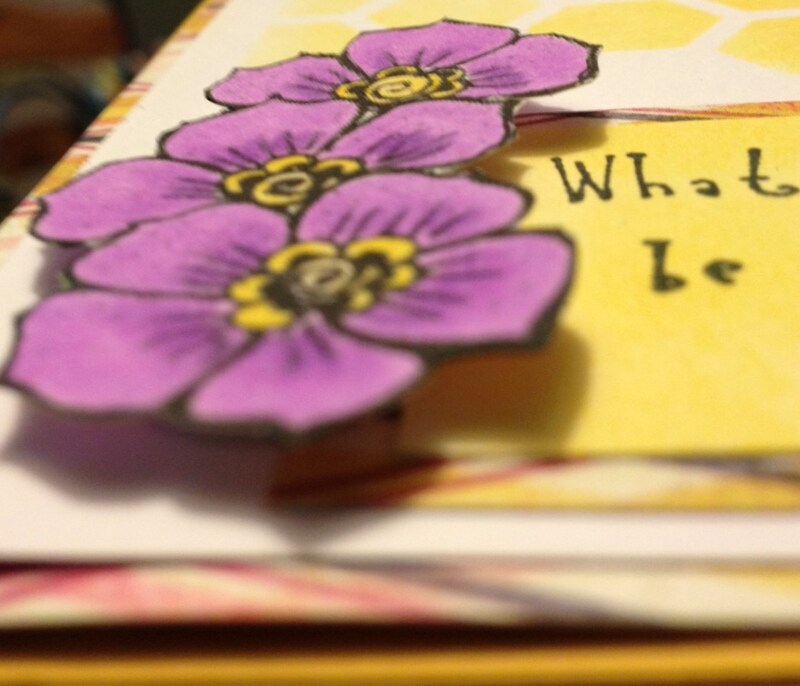 I also have a thing for bees... Lol -- so this card is so fun!! I know I said it before, but I'm so glad that you are crafting & posting your work! Woo hoo !! A lovely card! I love the honeycomb effect and the colours look beautiful together. I love your card! I'm totally crazy for hexagons and the bees make an obvious combo for them - I'm so gonna steal this idea... I also like the sentiment. 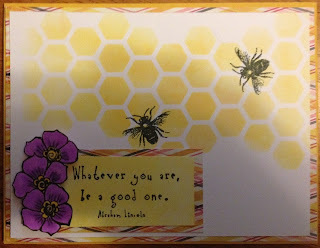 I adore your card, I'm always on the look out for new bee designs and this is fabulous. Thanks for sharing at Crafty Boots Challenges.